Surging support for Los Angeles’ Olympic Games bid seems to be exceeding all expectations, according to new “extraordinary” poll results. 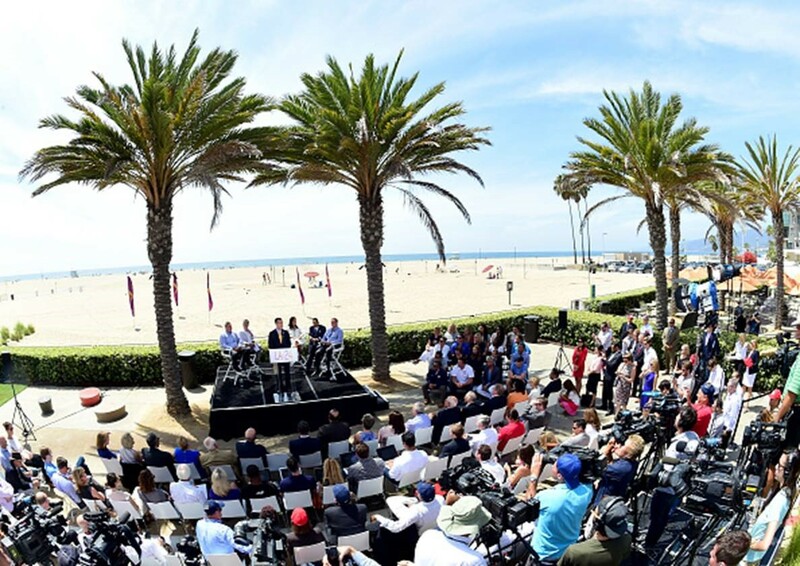 In a poll released Monday by Loyola Marymount University (LMU), the first independent findings since LA entered a bid, 88 per cent in Los Angeles support hosting the Games in their city in 2024. That number eclipses the bid’s own poll taken last August and submitted to the International Olympic Committee (IOC) last week that showed 81 per cent were behind the plans. Coinciding with the release of the poll results LA 2024 revealed a new video set to be released as trailers at select Regal Theatres is Southern California Thursday ahead of the 88th Academy Awards celebrations. Actors Will Ferrell and Jessica Alba along with athletes Kobe Bryant, Janet Evans, Greg Louganis and others share their thoughts about 2024 in the two-minute film. LMU researcher Brianne Gilbert told KPCC public radio, one of the poll’s sponsors, that the strong across-the-board response was extraordinary. “I’ve never seen that in any survey I’ve done. There was no demographic or geographic group that had less than 80 per cent support for the Olympics”, Gilbert said. Of the 2,425 Los Angeles County residents, 56 per cent were “strongly supportive” while 32 per cent were “somewhat supportive”. LA’s numbers compare very well against all bid rivals where, according to number submitted to the IOC last week, in Paris 74 per cent are in support, 71 per cent in Rome back the Games and 57 per cent in Budapest are behind the bid. Indeed, 88 per cent is an unprecedented level of support among bids from Western democratic nations over the past several years and is surprising considering support levels have recently plummeted in potential bid cities in the past months. Strong winning bids typically show support in the 70’s. Last year Hamburg withdrew from the race after losing a referendum over the bid and Boston, the city that LA replaced as the United States’ nomination, bowed out when it failed to poll support over 50 per cent. Los Angeles Mayor Eric Garcetti addresses the audience at the Annenberg Community Beach House in Santa Monica, California, on September 1, 2015. According to the poll results Angelenos were most supportive of the bid because it “gives an economic boost” to the city – but they were also enthusiastic due to job creation potential and that it would bring honor to the city that also successfully hosted the Games in 1984 and 1932. The small minority who opposed the bid were most concerned about the traffic congestion and the associated costs to host the Games. LA 2024 organizers say that with most of the venues already existing, and a plan that includes the two most expensive venues – the Athlete’s Village and Olympic Stadium – made ready for the Games on other projects’ budgets, the financial risks will be minimal. “[In 2024] I’m going to be welcoming people to the city I love,” screen actress and entrepreneur Jessica Alba said in the video. 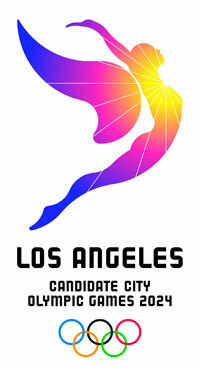 “I’m excited to see the next generation of athletes coming up in LA,” Olympic Champion Greg Louganis said. The IOC will decide whether those flying cars will be in LA, Budapest, Paris or Rome when it selects a host city for the Games in September 2017.